I am a huge fan of Pre-Code Hollywood because the films were more daring than those made after 1934 and many showcased strong, independent, and somewhat naughty women (though we wouldn’t consider them naughty today). So it’s always a treat to find one of these films in my casual search for something to watch on a weekend evening that will fill up a short time frame. Such was my find of Daring Daughters. I was looking for a short classic film of no more than an hour or so to fill up some time in the evening and stumbled upon this gem on YouTube. Just from looking at the reviews from some of the links below on this film, you never would have thought it a gem, but I consider it one of the better B-films made during the Pre-Code era. It portrays, among other things, the strength and solidarity among single women living in the big city in the early 1930’s. This film was made during the heart of the Great Depression in America, where many people were struggling to survive financially. This article argues that the Great Depression brought an end to feminism in American for a time because working women, especially those who were young and single, were thought to be stealing jobs that rightfully belonged to the bread-winners, the men. These young, single working women were also often seen as schemers, gold-diggers, and psychological castrators because they chose jobs over early marriage. The women portrayed in this film are no exception. 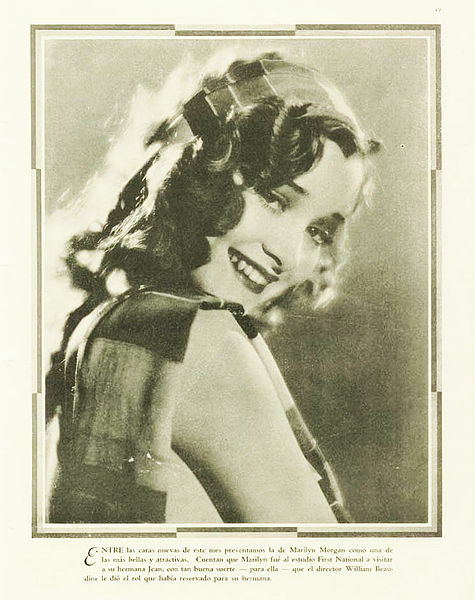 The film focuses on Terry Cummings (Marian Marsh) and her younger sister Betty (Joan Marsh – not related). Terry is a world-wary, cynical city girl who works behind a cigar counter in a big hotel and is constantly flirted with, pinched, and offered indecent proposals by well-to-do men. She has a snappy comeback or sarcastic remark for every man’s come-on. 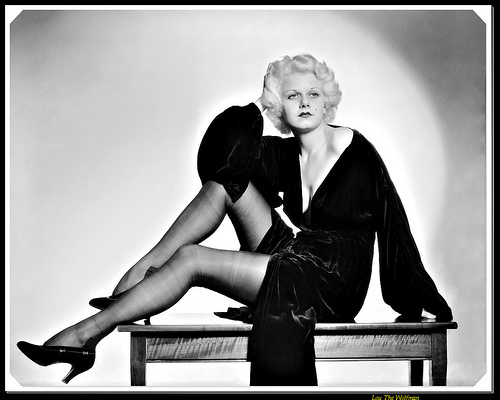 Her sister Betty is sweet and naïve, having been in the city for no more than a few weeks when the film opens. Terry’s purpose in life is to protect her younger sister from the cads that plague her in her work and social life and gather her enough money so that her sister can marry her nice-boy beau, Roy (Bryant Washburn, Jr.) So she goes to work on a rich banker’s nephew named Edgar (Allen Vincent) who has fallen in love with her, only to find that once she’s gotten the money she needs from him, she can’t throw him over because she’s in love with him. Terry and Betty live in an apartment house occupied by two other women – Gwen (Lita Chevret), a party-girl throwback from the Roaring Twenties who is not above telling older rich men a sob story to help support the life to which she has become accustomed, and Helen (Charlotte Merriam), the only married girl of the bunch, whose husband is physically abusive when drunk. These women form a solid bond and help support one another, whether it’s a question of money, such as borrowing a cup of sugar or virtue, as when Betty is given too much champagne by a wealthy creep (Kenneth Thompson) intending to take advantage of her, Gwen refuses to leave her alone with him, even changing into one of his pajamas and getting into the same bed with Betty to make sure that he stays out of it. Another great scene of female solidarity is when Terry is waiting for Edgar to arrive at her apartment for a home-cooked meal. The meal is an important one to her, as she intends to work her magic on him and get him to give her the money that her sister need so she can finally get married. Before he comes, there is a pounding on the door and Helen rushes in, crying hysterically, because her husband is drunk and out for blood and she’s afraid he’s going to kill her. She begs Terry to let her stay in her apartment and even though Terry was hoping for a private conference with Edgar, she agrees. And it’s not only the young that are portrayed as independent in this film. Towards the end of the film, Ginger (Florence Roberts), Terry and Betty’s grandmother, shows up. Throughout the film, Ginger has been portrayed as poor sick Granny, a means of getting male sympathy and financial help. But Granny is not only healthy but living it up in a big way. She’s lively, picking up rich men, drinking, and smoking. The film ends predictably with woman in her place. That is, both Terry and Betty marry the man of their dreams and he’s not the louse that Terry believed all men to be. But I enjoyed the film for its 1930’s look at the way that single young working women lived in the big city. Check out my blog The Dream Book Blog!